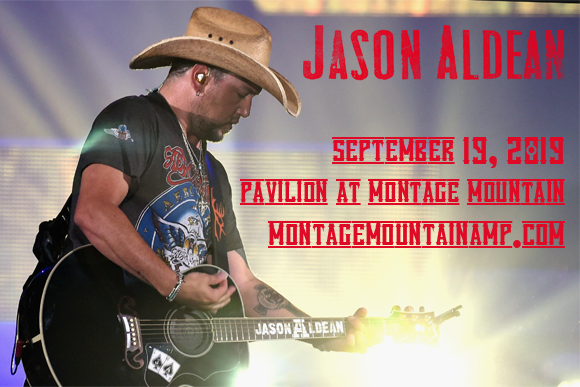 “Girl Like You” singer Jason Aldean brings his Ride All Night Tour to Pavilion at Montage Mountain on Thursday 19th September 2019! The dynamic performer will be performing tracks off his most recent release, Rearview Town, and fans can expect a full-power show from the word go when the charismatic Aldean takes to the stage! Joining him in support is rising star Kane Brown! American country music star Jason Aldean's music industry story is not one of overnight success – after several years performing around bars in his local Atlanta, Georgia, Aldean finally signed with Warner Chappell in 1998 and moved to Nashville, Tennessee, only to be dropped by the label. After another unsuccessful deal in 2000, and several rejections from other labels over the years, Aldean made the preparations to move back to Georgia after one final six-month push. Just five weeks later, he was signed to Broken Bow Records, with whom he released his self-titled debut album in June 2005. The platinum-selling album was a critical and commercial hit, launching three top ten singles including Aldean's first number one, “Why”. Since then, he has charted twenty seven top ten singles, including nineteen number ones, and has released two more platinum-certified albums, as well as 2012's double-platinum certified album Night Train and the 2010 quadruple-platinum-selling album My Kinda Party. His most recent release is 2018's Rearview Town.